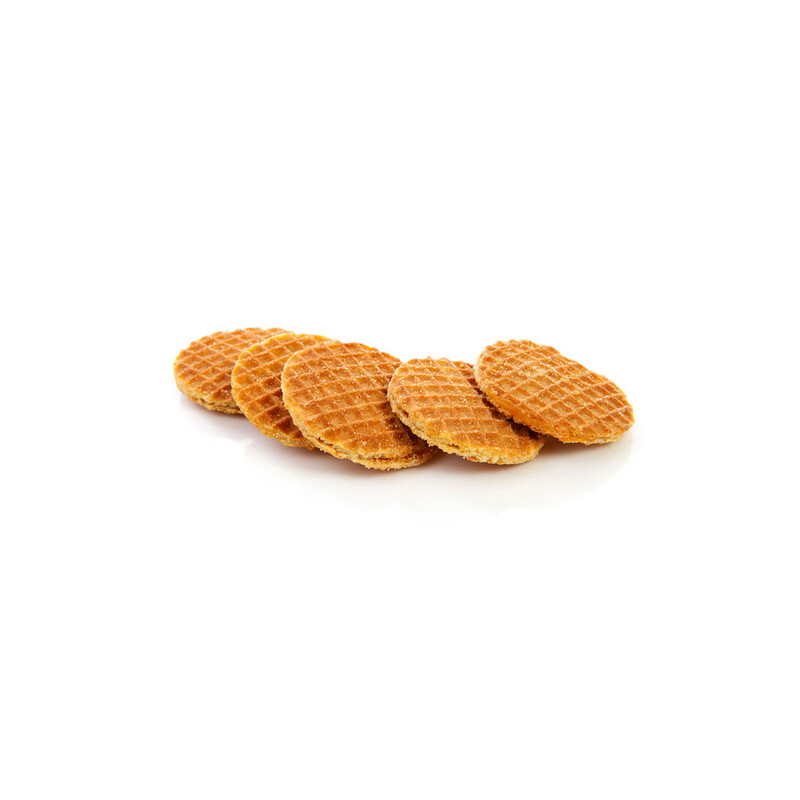 Original Gouden Aar syrup waffles are the favorite tea-time snack of the Dutch ever since the nineteenth century. 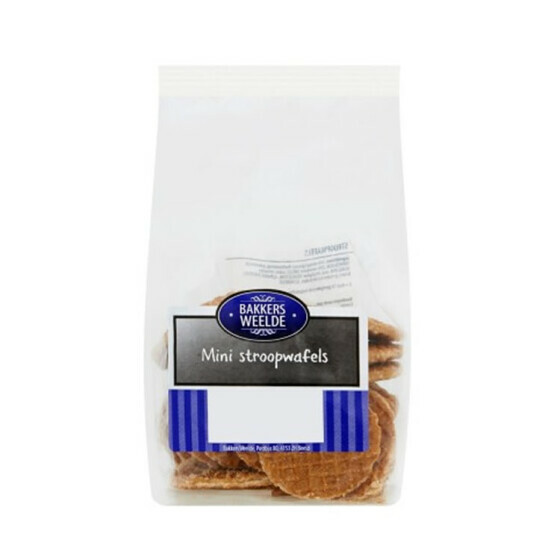 Created in Gouda more than 200 years ago the original Dutch stroopwafels are cookies made of two thin waffles in a round shape with an exquisite caramel-like syrup filling. On markets you'll nearly always find a booth where fresh syrup waffles are prepared while you're waiting. The tempting smell of these outrageous tasting waffles attracts people from all over the place waiting in a row to enjoy their syrup waffles when the waffle dough is still weak and warm. 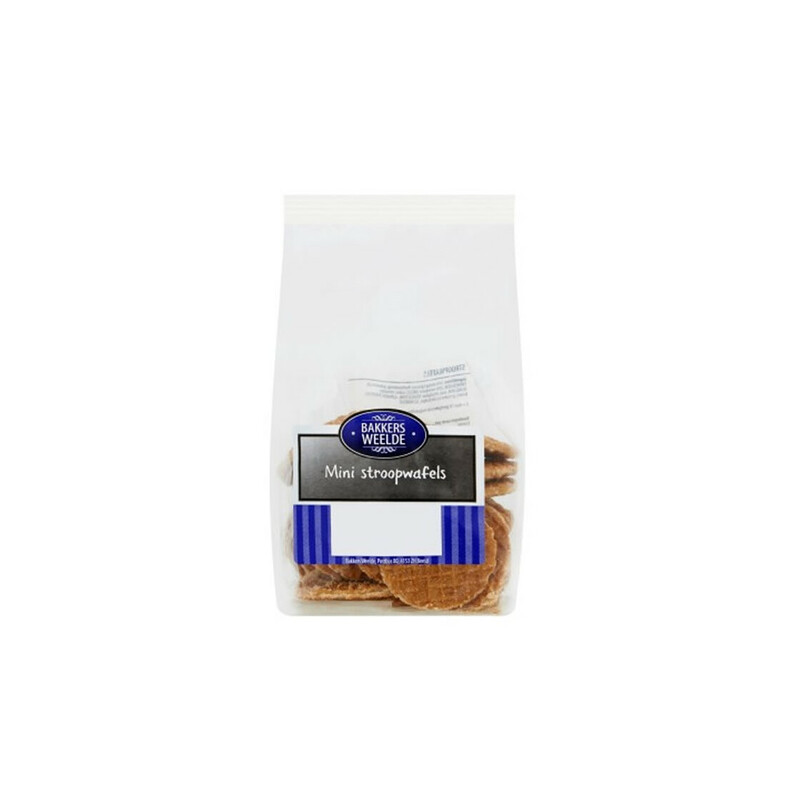 Gouden Aar stroopwafels are made in accordance with traditional recipes from Gouda. The round waffles with a centerline of roundabout 3 inches are made of natural ingredients like flour, butter, brown sugar, yeast, milk and eggs. 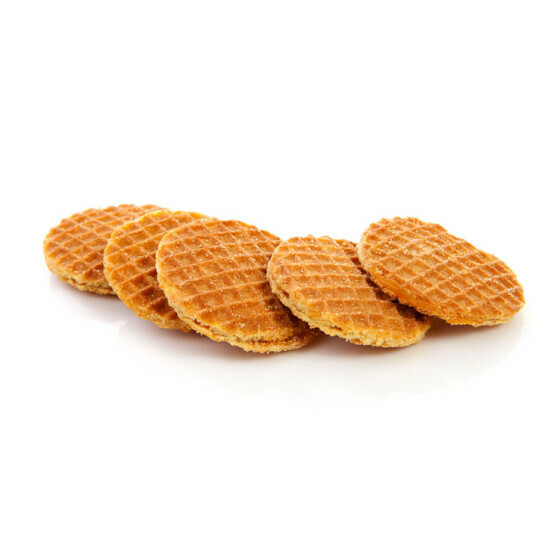 After baking the still warm waffle is split into two thin layers and then filled with stroop, as the Dutch call the exquisite syrup enriched with brown sugar, butter and cinnamon. Delicious Milk Chocolat Sprinkles from Dutch brand De Ruijter. For a perfect Dutch breakfast! Delicious Dark Chocolat Sprinkles from Dutch brand De Ruijter. For a perfect Dutch breakfast!